Although the Uplands Initiative has come to an end, our interest in the archaeology and landscapes of upland Wales remains undimmed. 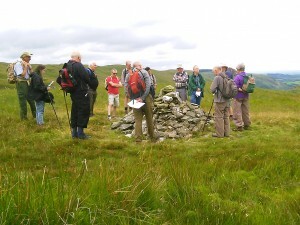 In July, to mark the 2017 Festival of Archaeology, Trysor held two events, a guided walk to Llyn Gynon, in the Elenydd hills, and an Archaeological Picnic at Pont ar Elan, in the Elan Valley. 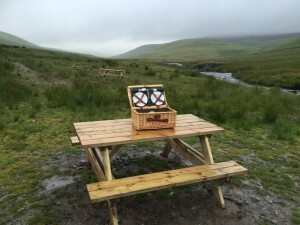 Whilst the walkers enjoyed a fine day, the summer rains came and spoiled the picnic, which had to be cancelled. Such is life in the hills. But we will try again in 2017! ← Where did we get to in 2016?